Note to all users: The keyboard layout is out, includes bigger fonts so all users can see the letters. Also all issues with vowels appearing displaced have been corrected. Enjoy! We just released a keyboard so you can type in Thai with different colors, sizes and fonts. Look for it under Thai Email Editor. Its $0.99 for a limited time. 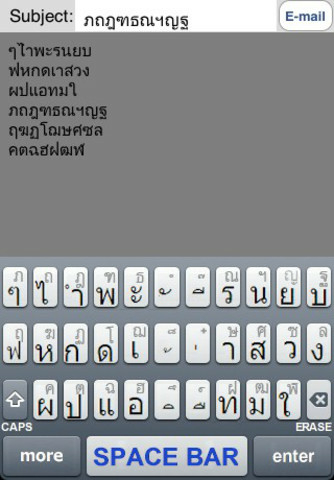 Finally a Thai Keyboard for your iPhone! 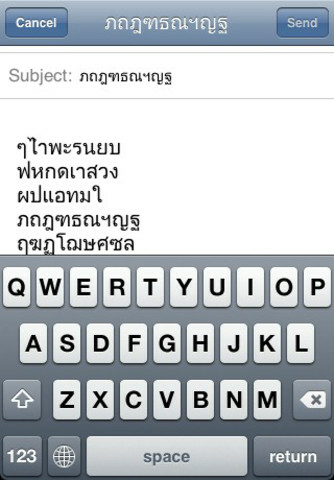 Writing and sending emails in Thai from your iPhone has never been so simple! With this new application, you can now type emails in Thai right from you iPhone and send them to all of your friends and family! 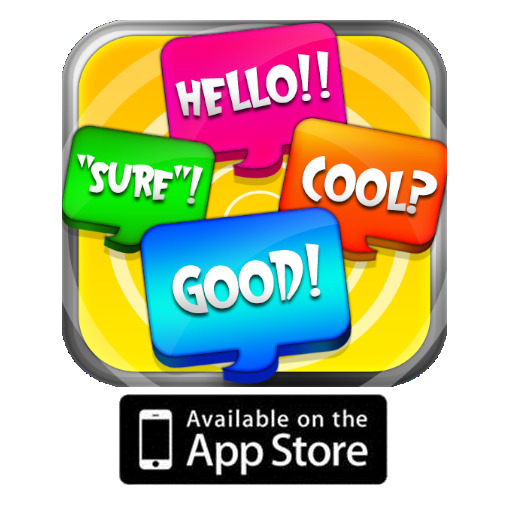 It is a very simple application with the purpose to communicate everyone in the Thai speaking community. This application features a Thai keyboard with all necessary and extended characters. This keyboard has larger letters and keystroke sounds in order to make writing your message easier. We hope all of the community benefits from this project! We are eager to hear comments and suggestions, since we are constantly working in order to improve future versions.